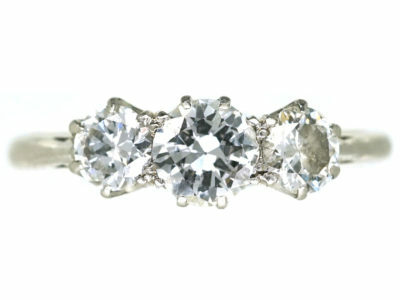 This is a really beautiful platinum and diamond ring. 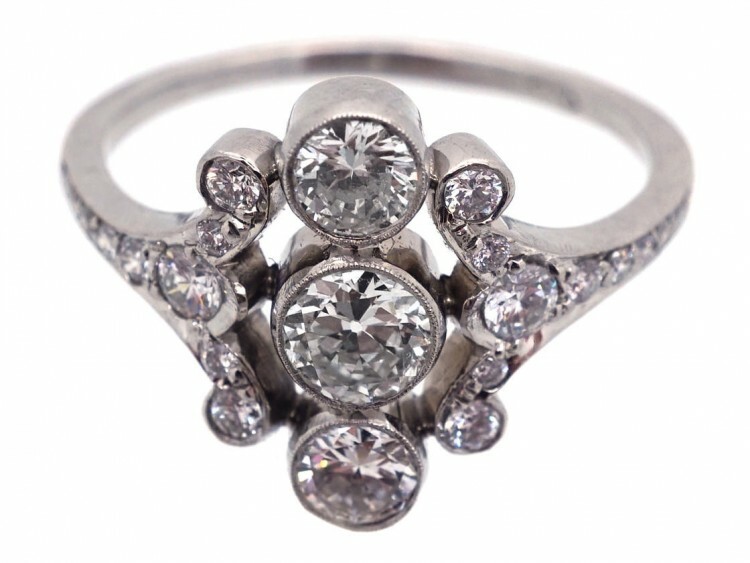 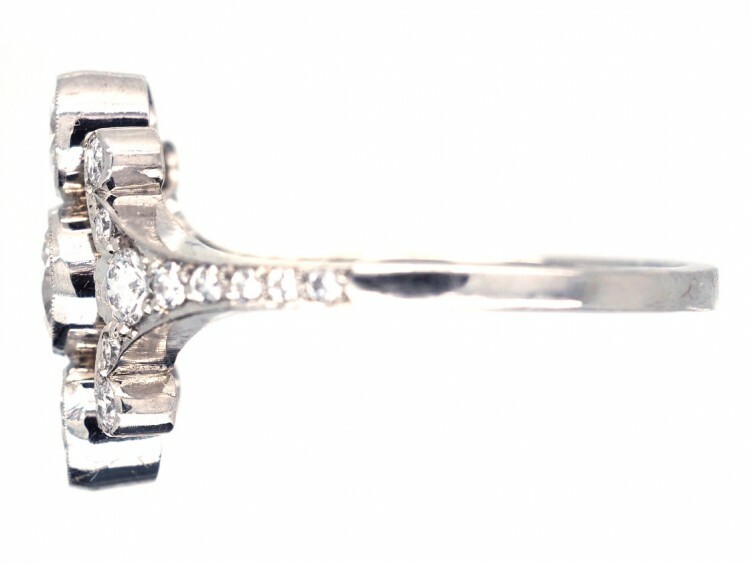 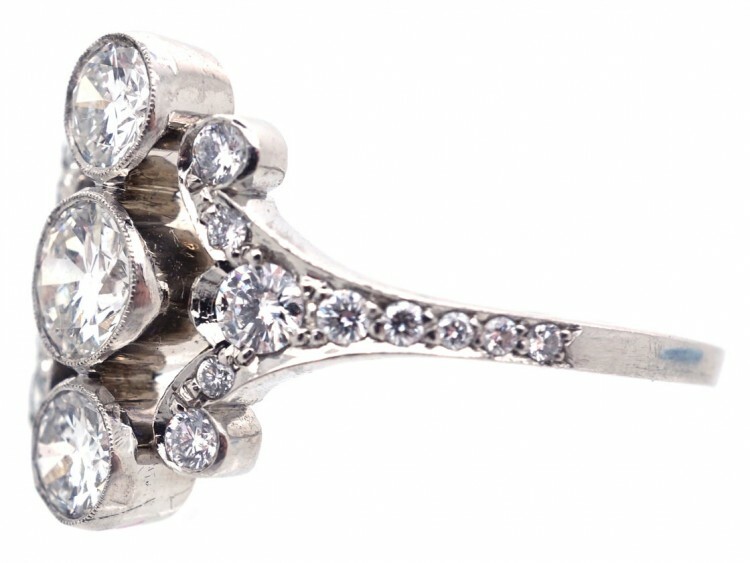 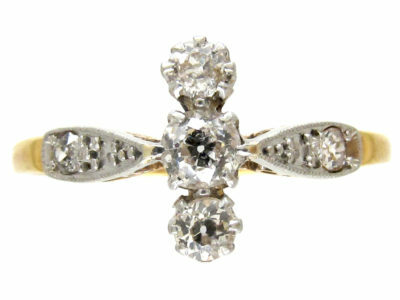 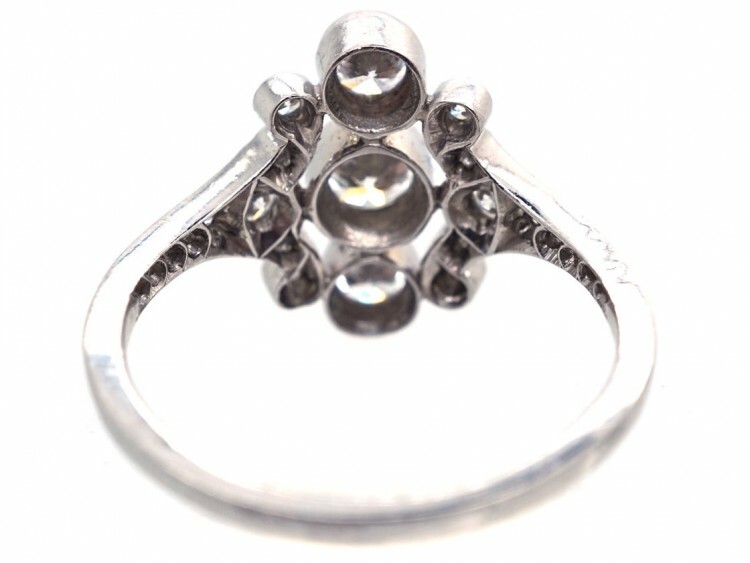 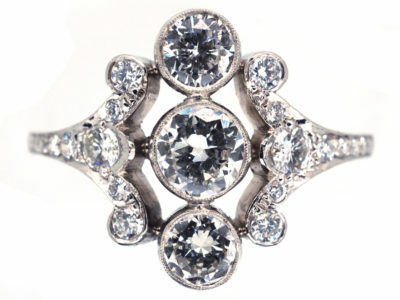 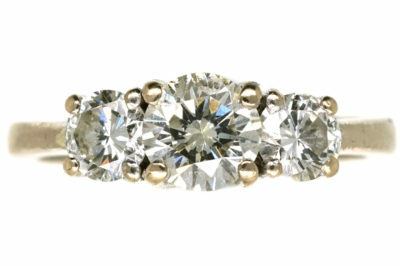 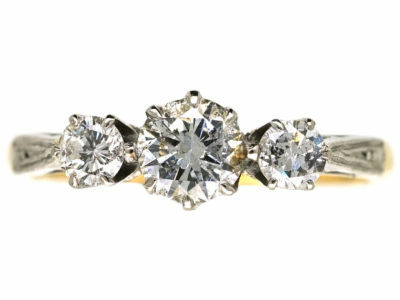 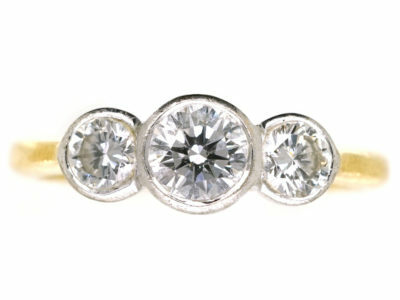 The diamonds are bright white stones with three quite large diamonds in the centre. 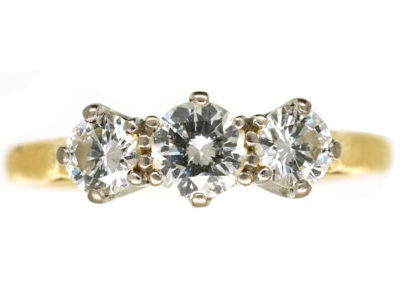 I was always taught to look at the back of a ring and how it was finished off. 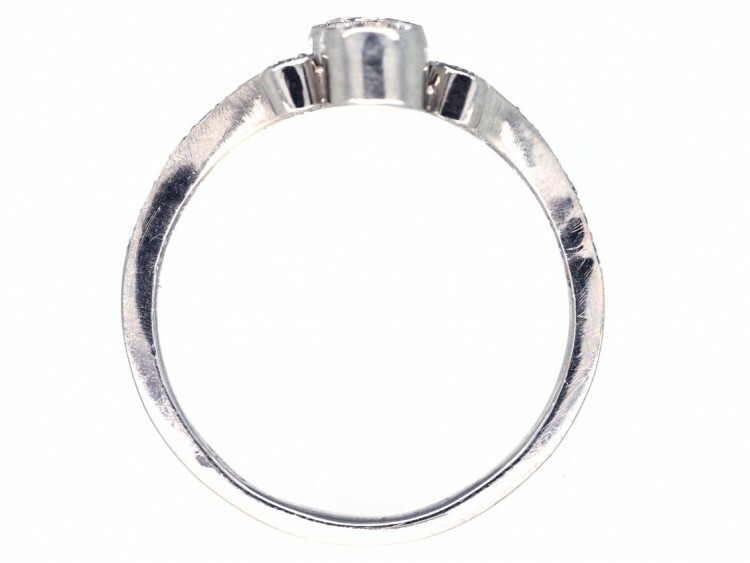 This one, when examined, shows that the settings have been carefully filed and shaped at the back. 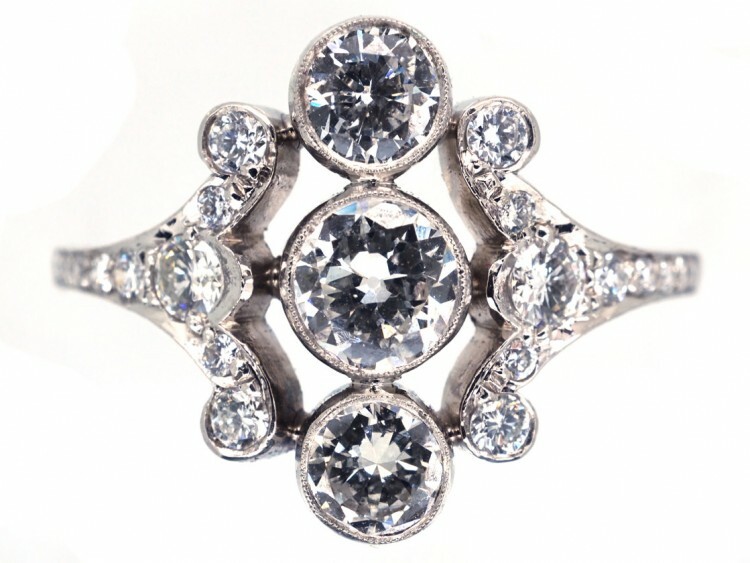 Modern rings do not always display this, as it is a very time consuming job, so the holes are crudely drilled. 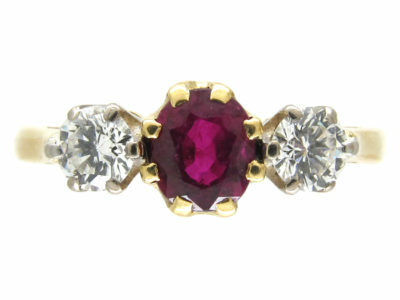 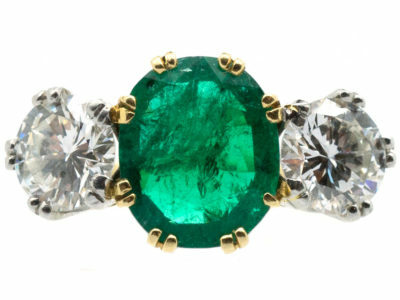 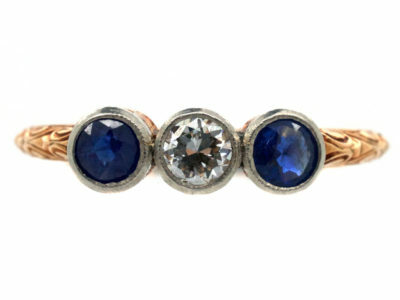 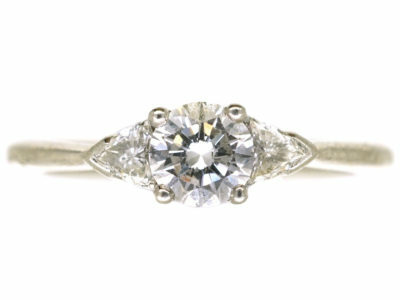 It would make a fabulous engagement ring.